Phase morphology in multicomponent polymer-based systems represents the main physical characteristic that allows for control of the material design and implicitly the development of new plastics. Emphasizing properties of these promising new materials in both solution and solid phase, this book describes the preparation, processing, properties, and practical implications of advanced multiphase systems from macro to nanoscales. It covers a wide range of systems including copolymers, polymer blends, polymer composites, gels, interpenetrating polymers, and layered polymer/metal structures, describing aspects of polymer science, engineering, and technology. The book analyzes experimental and theoretical aspects regarding the thermal and electrical transport phenomena and magnetic properties of crucial importance in advanced technologies. 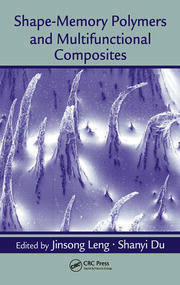 It reviews the most recent advances concerning morphological, rheological, interfacial, physical, fire-resistant, thermophysical, and biomedical properties of multiphase polymer systems. Concomitantly the book deals with basic investigation techniques that are sensitive in elucidating the features of each phase. It also discusses the latest research trends that offer new solutions for advanced bio- and nanotechnologies. 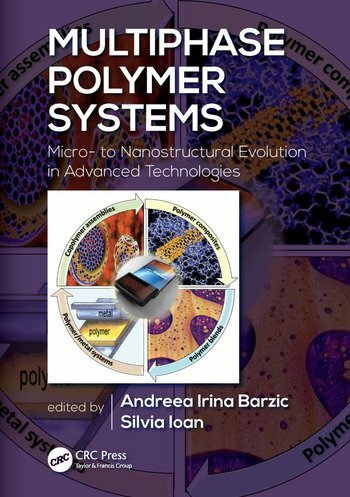 Introduces an overview of recent studies in the area of multiphase polymer systems, their micro- and nanostructural evolutions in advanced technologies, and provides future outlooks, new challenges and opportunities. Discusses multicomponent structures that offer enhanced physical, mechanical, thermal, electrical, magnetic, and optical properties adapted to current requirements of modern technologies. Covers a wide range of materials, such as composites, blends, alloys, gels and interpenetrating polymer networks. Presents new strategies for controlling the micro- and nanomorphology and the mechanical properties of multiphase polymeric materials. Describes different applications of multiphase polymeric materials in various fields, including automotive, aeronautics and space industry, displays, and medicine. Andreea Irina Barzic has been a scientific researcher in the Department of Physical Chemistry of Polymers at the "Petru Poni" Institute of Macromolecular Chemistry, Iasi, Romania, since 2005. She received her PhD in chemistry from the Romanian Academy, Bucharest. Her major fields of interest include polymer blends, composites, and liquid crystal polymers. She has published more than 40 papers in peer-reviewed journals and has authored or co-authored several books. She is also involved in several research projects and is a referee (reviewer) for a number of prestigious journals in the field of polymer science. Silvia Ioan is a senior researcher, with more than 50 years of scientific contributions, at the "Petru Poni" Institute of Macromolecular Chemistry, Iasi, Romania. Her areas of study have included interdisciplinary research for theoretical and experimental substantiations of the processes and technologies at nano-, micro-, and macroscales. 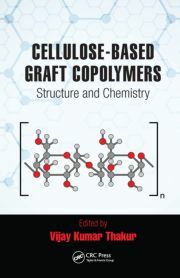 These scientific contributions have focused on the participation of some polymers with special architectures in obtaining multifunctional materials including studies concerning the improvement of some properties for predetermined goals and applications. The direction of her research is reflected in many publications, such as books or book chapters and more than 300 scientific papers, as well as in patents, in participation at several national and international scientific conferences, and as leader and member of numerous research projects. She also developed a specialized research group on the characterization of macromolecular compounds in solution and solid states at Romania’s Institute of Macromolecular Chemistry. In addition, Dr. Ioan serves as an expert reviewer of several prestigious scientific journals, and she is the PhD supervisor in the materials science domain at the doctoral school of the Romanian Academy—"Petru Poni" Institute of Macromolecular Chemistry, Iasi. "… a very good book for students, educators and application engineers." "The title of this book is very attractive. With well-organized contents and well-written chapters, it will certainly be a successful book." 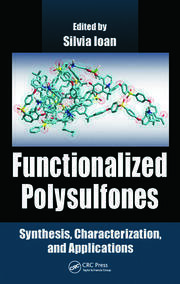 "This state-of the-art book introduces the researchers to the interesting field of Multiphase Polymer Systems. All the chapters are well composed and nothing is missing. I am confident in the materials represented, and that they will attract researchers from different disciplines."